Graitec USA has been delivering scheduled and custom Autodesk and AutoCAD training courses from our certified Autodesk Training Center in Houston, Texas for nearly 20 years. Professional CAD training is an essential requirement for companies and businesses that have invested in computer aided design software and instructor led CAD courses are by far the quickest way for any business to start getting a return on its investment and maximize its productivity in the shortest possible time frame. In addition to our classroom based training sessions Total CAD Systems inc now also offer flexible and Autodesk Certified online training to help our clients meet all of their business Autodesk software training requirements. Our 2D CAD training courses (AutoCAD training) tend to be centered around Autodesk's world class 2D drafting software which is of course AutoCAD, and for most students, architects and mechanical designers around the world their initial experience of CAD is often on this Autodesk platform. 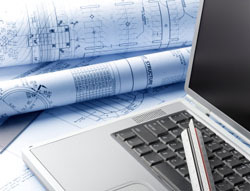 Whilst 2D AutoCAD software still has a huge following and is the design and drafting tool of choice for many businesses and disciplines the need for increased productivity and a shorter time to market for architectural projects, industrial design & engineering and product design has spawned a new breed of 3D computer aided design software and 3D modelling software. 3D CAD training is an altogether different challenge because unlike 2D CAD training (which is fairly generic across industry disciplines) 3D computer aided design training courses tend to be industry specific and in most instances the 3D CAD software will be specially developed for a particular discipline so most 3D CAD training courses are led by industry experienced instructors. To find out more about our classroom based CAD courses or our online Autodesk training courses on offer or to speak to a member of the team give us a call on (281) 445-6161.